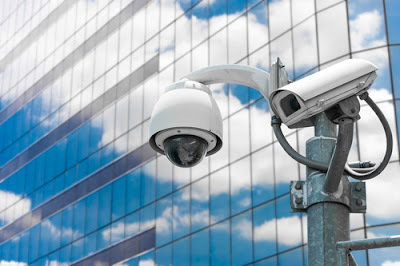 Any business owner or manager is concerned about the security of their premises, whether it's a small shop, a restaurant, or a convenience store. They also want to be sure the store's money stays in the store -- in other words, that there's no employee theft. All these concerns lead people to security cameras as the solution. But which type to buy? 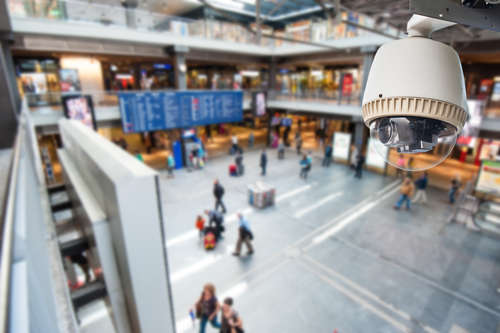 So-called "dome" security cameras, where the camera is hidden inside a plastic dome, are among the most popular. Let's look at why that is, and what they can do for your business. Often, convenience stores and other high traffic areas will opt for poorer-quality security cameras because there's a higher risk of vandalism. If someone damages the camera, it's cheaper to replace. However, you can buy dome security cameras in armored, vandal-resistant designs which will stand up to the abuse. These cameras are designed to keep operating even after they've been struck by baseball bats, or worse. In fact, for areas where vandalism is a concern, dome security cameras are among the only options. Any other camera housing tends to be too easy for vandals to grasp hold of, or the camera housing must be very large and heavy. On the other hand, dome security cameras have a protective dome covering the camera, and the protective dome is firmly attached to the base. Dome cameras usually have dark tinted or sometimes even mirrored domes. This hides the black camera inside, so it's not clear there's a camera present. Customers can often feel unsettled by the idea they're being continuously watched, so an inconspicuous camera is more acceptable to customers. Thanks to the tinted dome of a dome security camera, it can be hard for a burglar or a thief to tell where the camera is pointed. This added level of uncertainty can make many perpetrators think twice before trying to steal or cause mischief. More expensive dome cameras come with a pan / tilt / zoom mechanism which allows you or the security manager to swivel the camera around to follow someone suspicious, or cover more of the floor. A single security camera can therefore cover a very large area, instead of needing many cameras pointed in different directions. Most dome cameras with a pan / tilt / zoom mechanism can also be programmed to sweep a given area automatically. Some of the best cameras have built-in motion sensing features. They will pick up on movement and follow it until the person is out of range. There does not need to be someone at the controls. Instead, the camera will spot a potential intruder or troublemaker and keep them in view the whole time. Motion sensing is particularly important for areas where there is no-one normally watching the camera, since they will therefore be able to film the entire act if someone commits a crime. Since dome cameras can cover a 360 degree angle, they're much easier to install. There's less concern the camera will be able to see everything -- you can simply attach it to the wall and swivel the camera around later to catch anything that may happen. Dome cameras are also available in many types. You can mount them on high walls, attach them to the tops of posts, or hang them from ceilings. Compared with almost any other kind of camera, dome cameras usually will cost less to install. Dome security cameras tend to be very compact. They don't have the bulky, elongated form of old-style security cameras; they simply mount to the wall and you're dome. While some dome cameras are inexpensive enough that anyone can afford them, the most elaborate cameras can be very expensive. A dome camera that offers motion sensing and other in-depth tracking features, very high quality video, and vandal-proof armoring may be too expensive for a small shop to use for security coverage. Therefore, smaller businesses tend to opt for cheaper models -- they may not need night-vision video or motion tracking in any case.